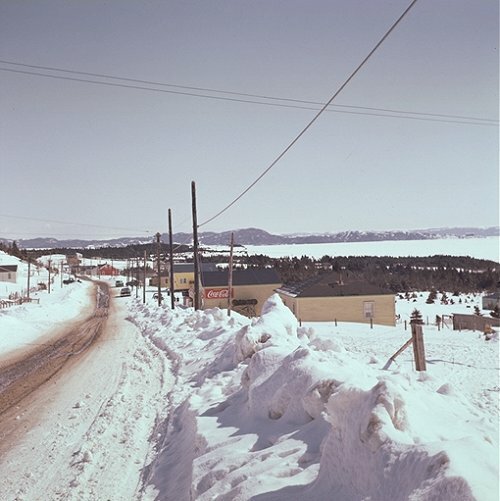 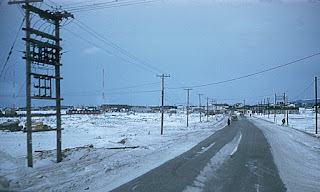 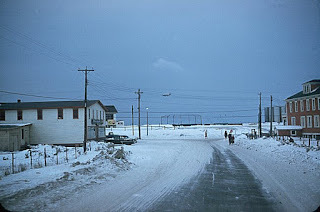 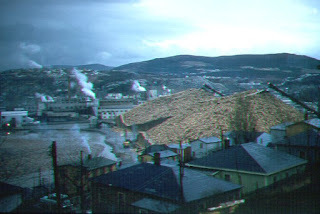 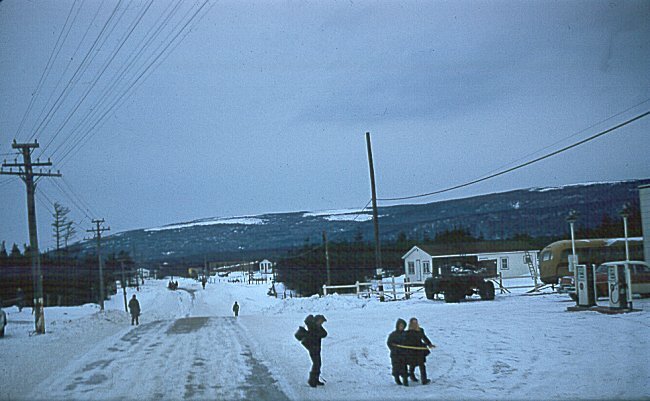 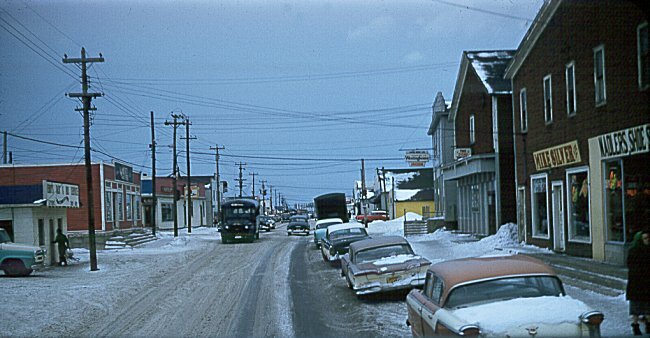 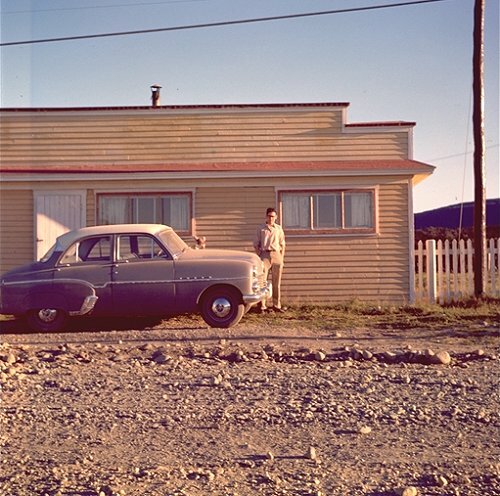 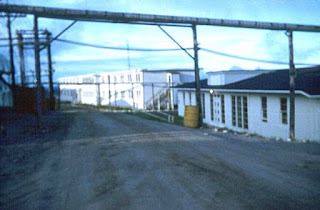 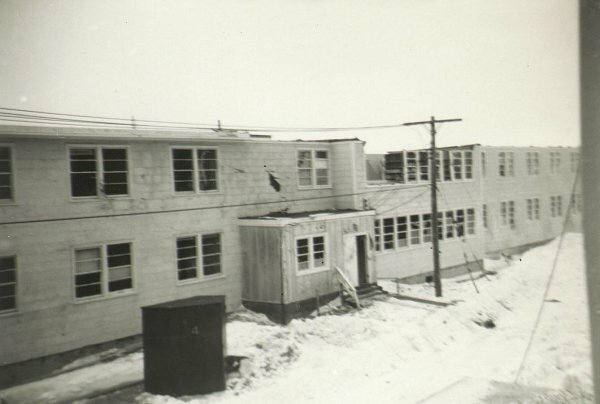 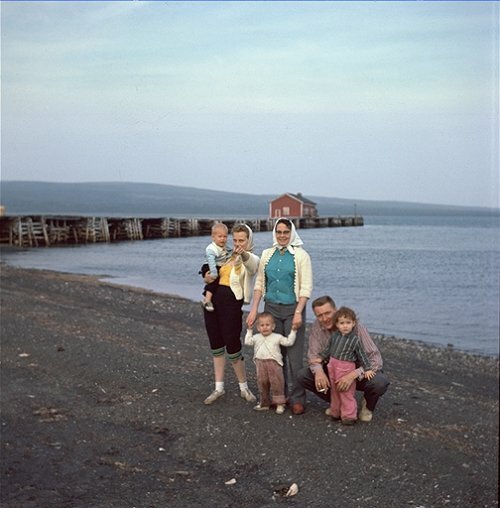 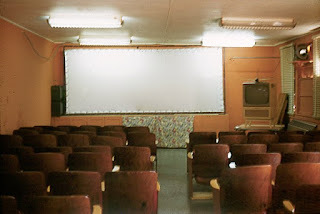 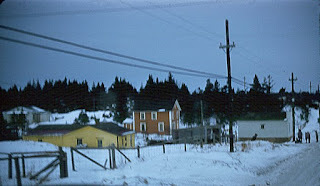 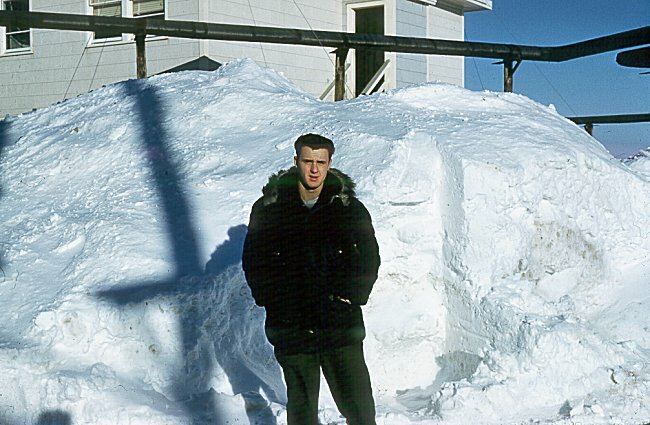 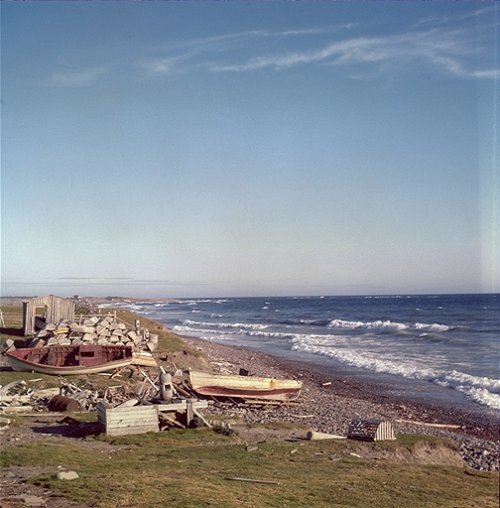 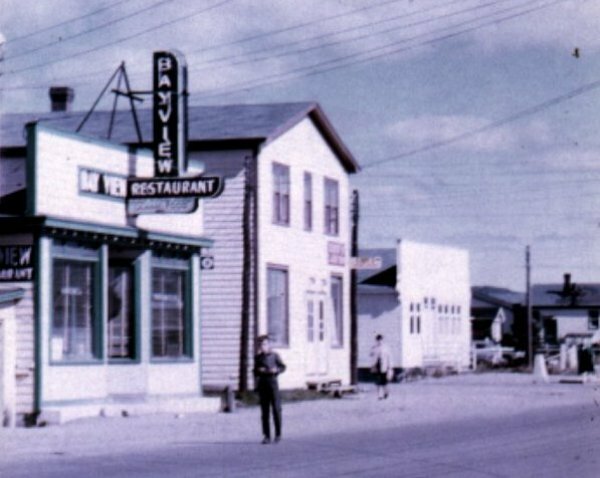 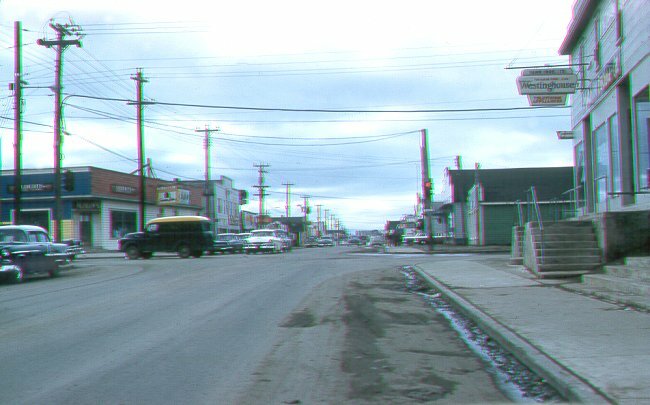 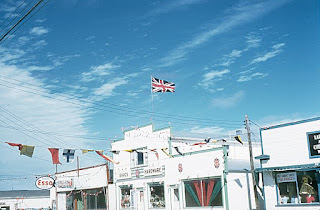 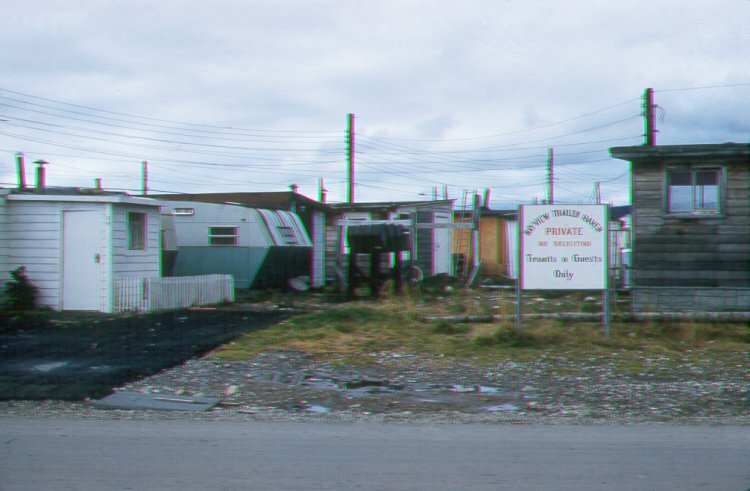 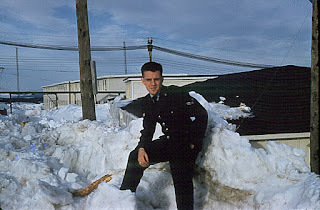 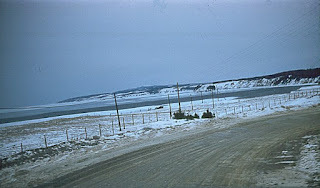 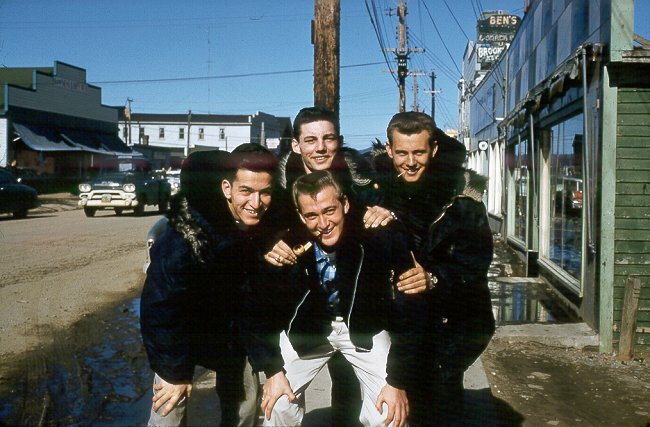 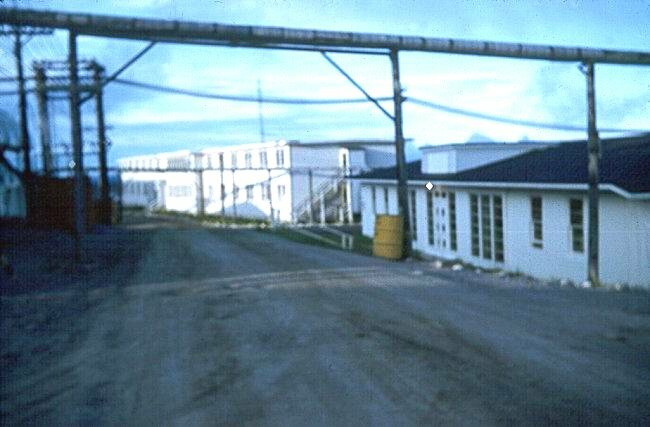 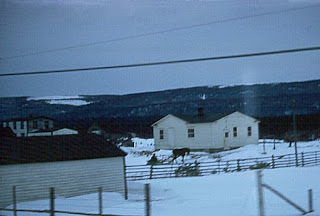 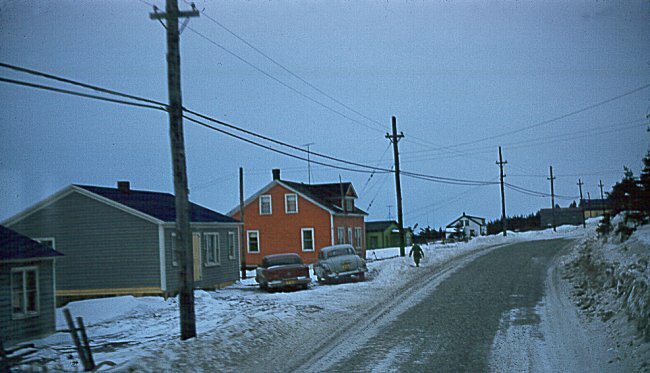 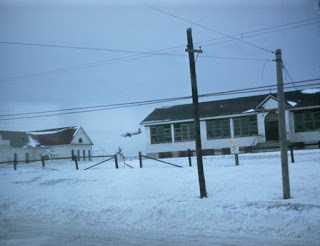 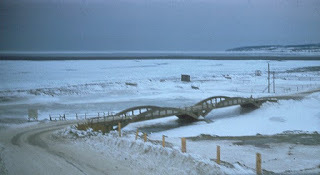 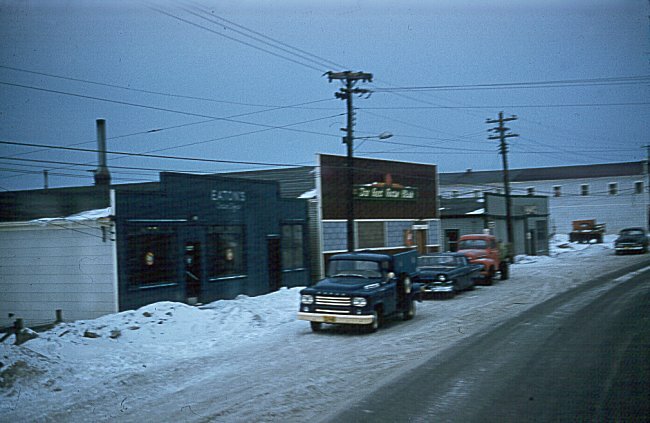 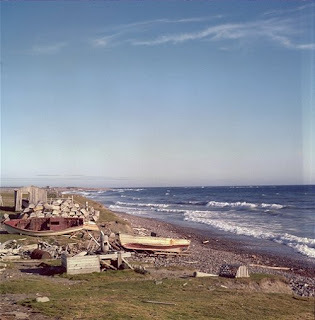 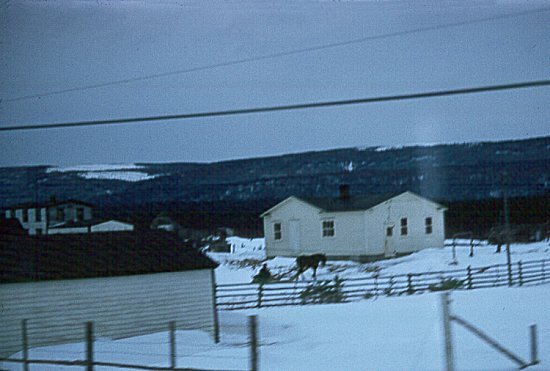 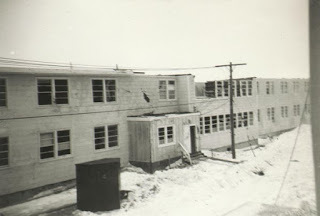 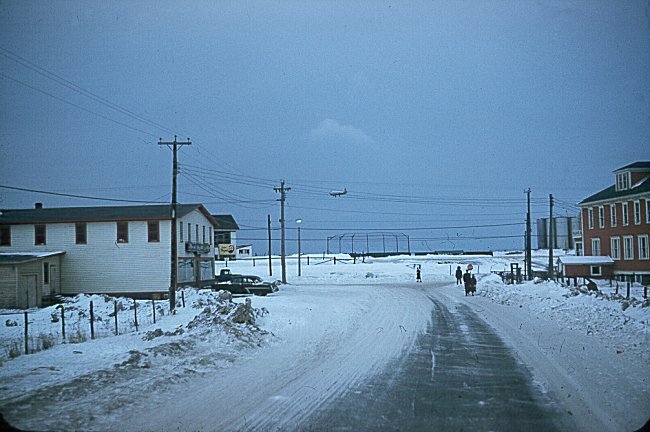 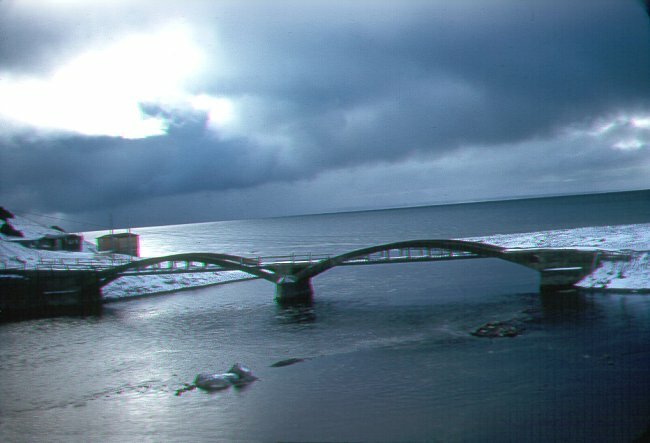 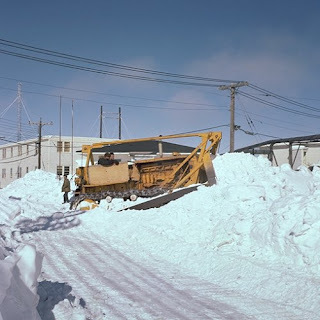 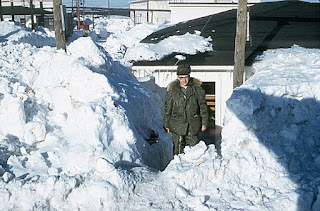 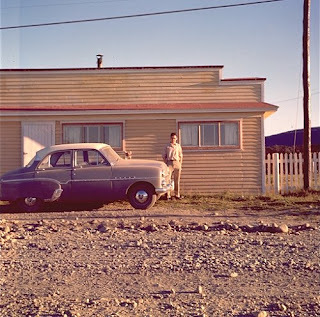 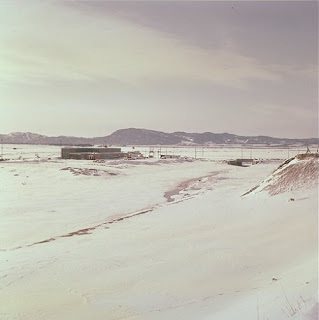 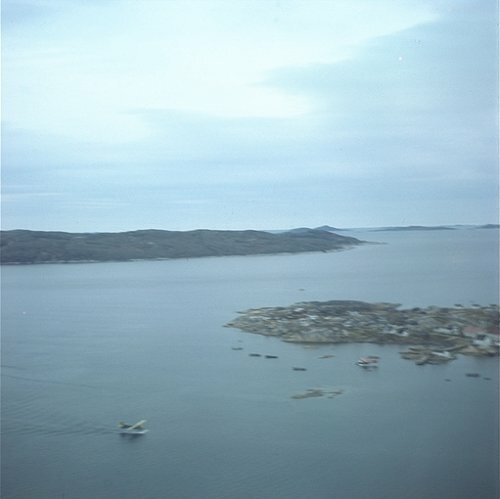 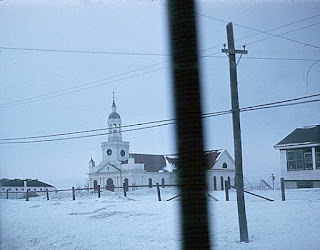 Some family picture albums have been lost so I was looking for old photos of Stephenville, NL on the WWW. Google pointed to photos at this site www.c-and-e-museum.org/Pinetreeline/Photos/. 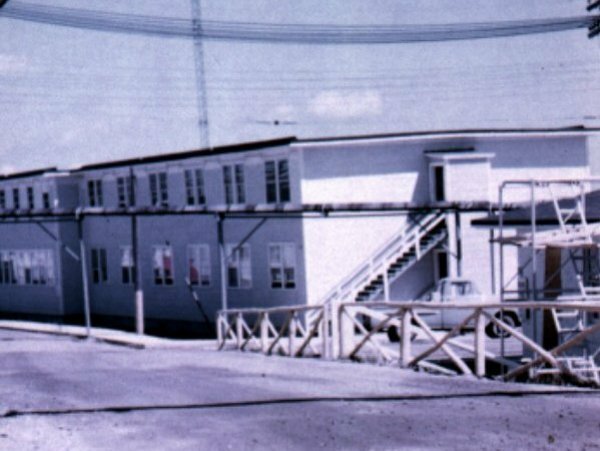 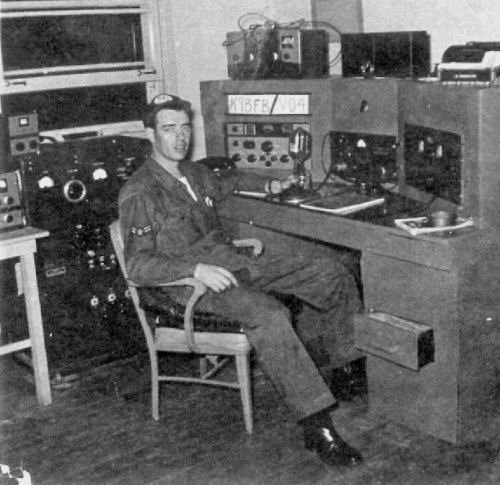 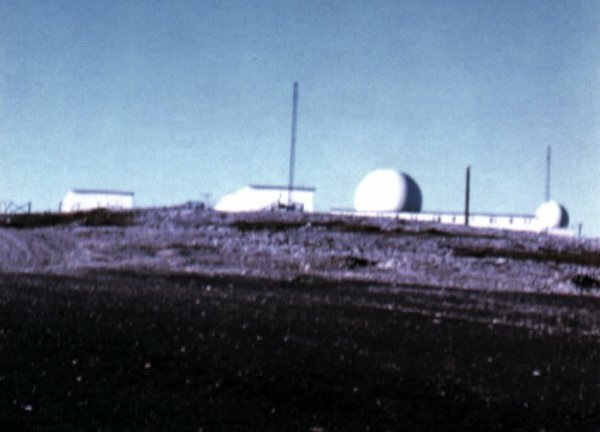 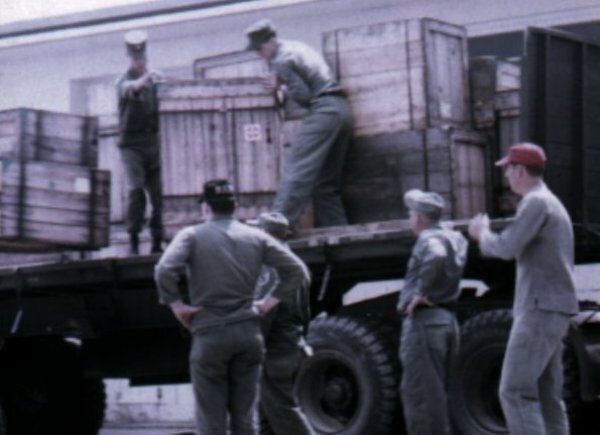 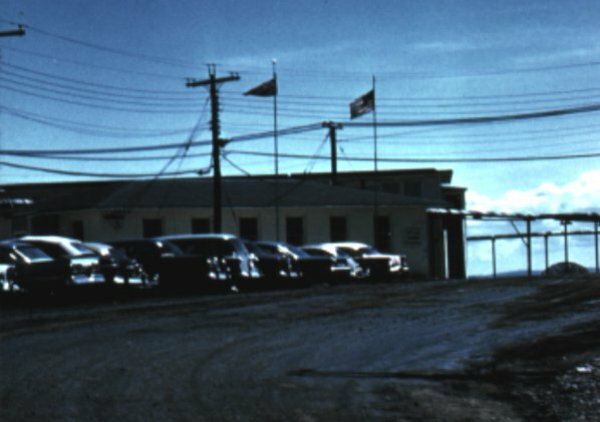 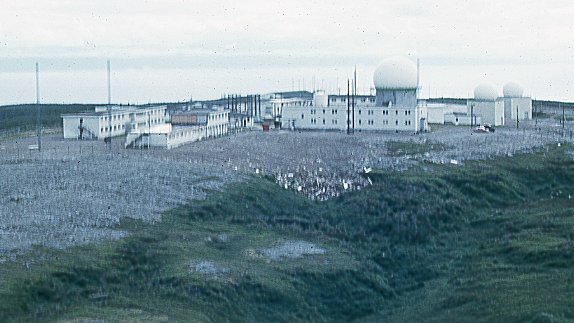 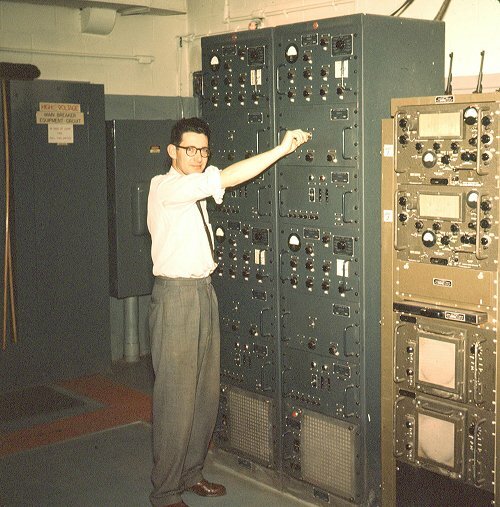 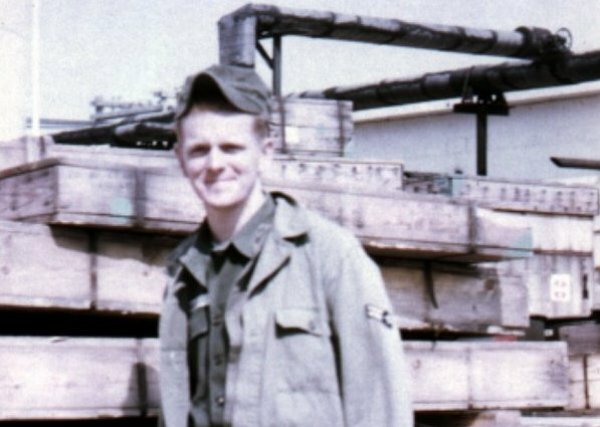 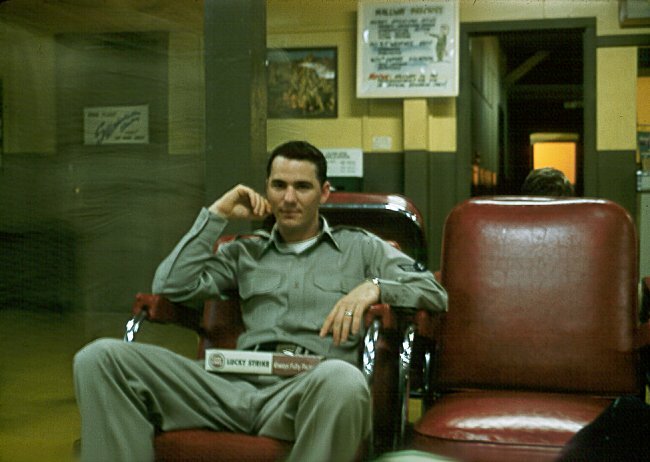 The top-level domain redirects to the Military Communications And Electronics Museum which does not yet have the Stephenville 1959 photos. I got permission from the museum facebook page to use them. 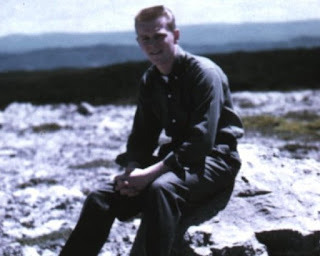 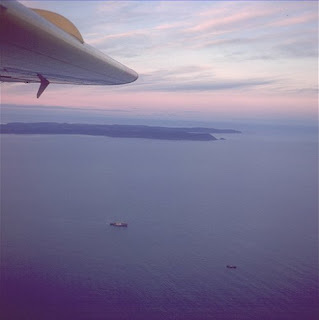 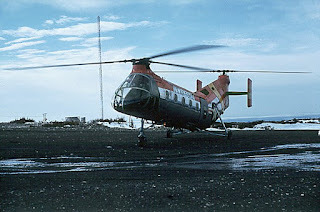 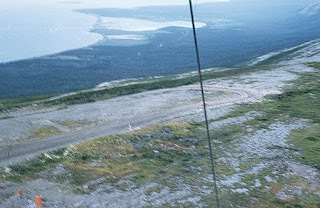 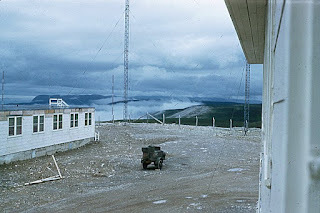 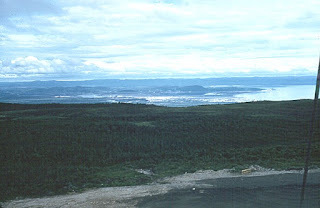 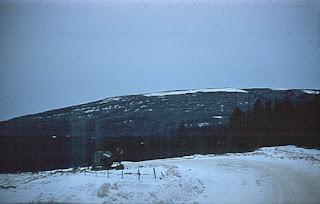 Most of the photos are about the military site on "table-top" mountain usually called Pinetree. 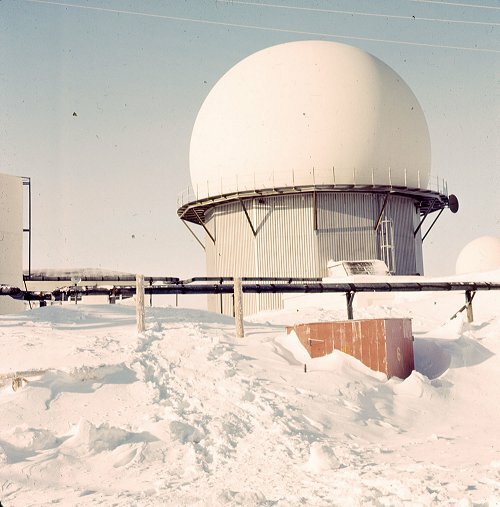 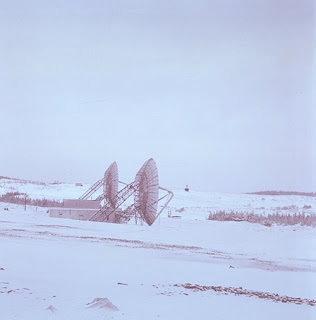 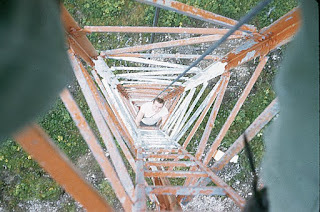 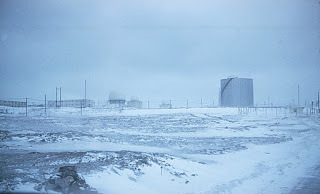 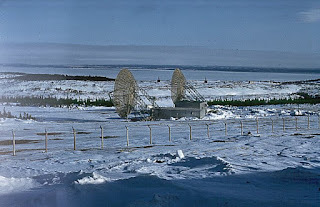 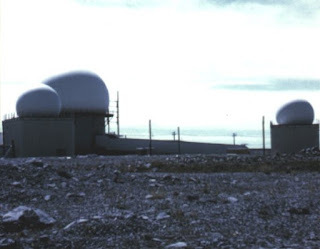 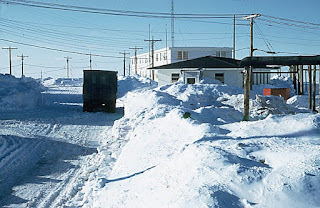 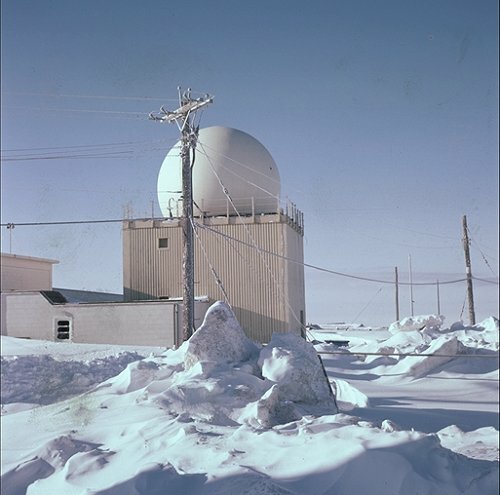 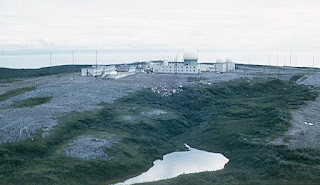 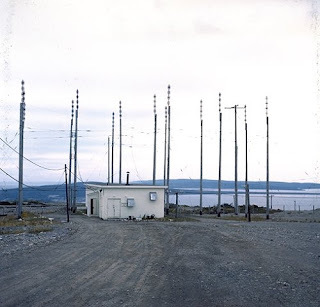 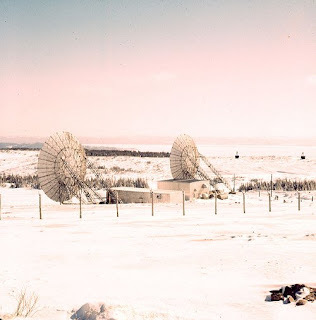 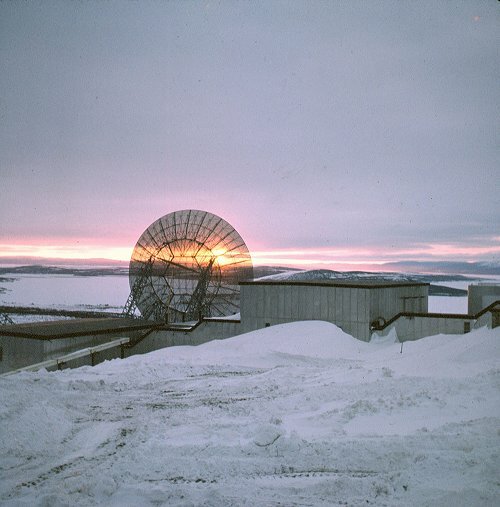 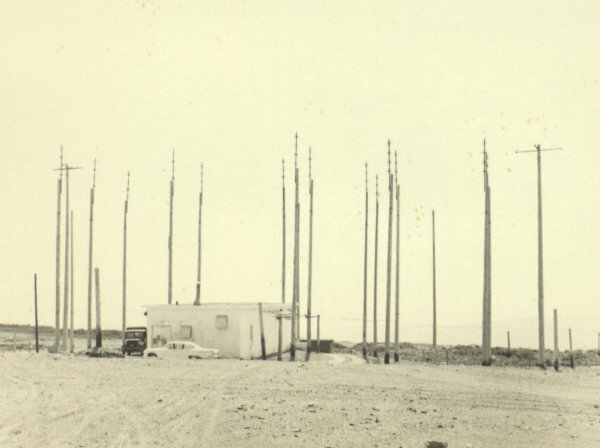 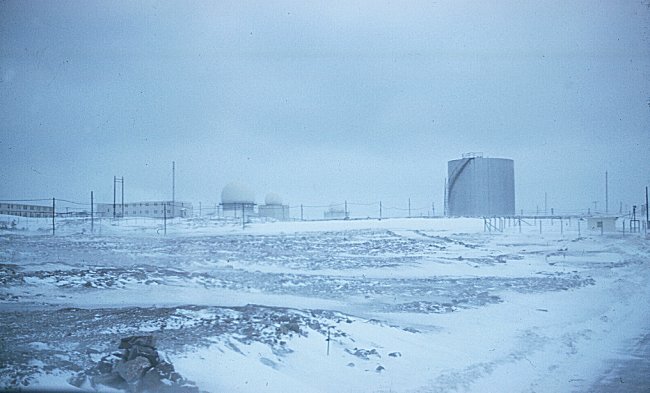 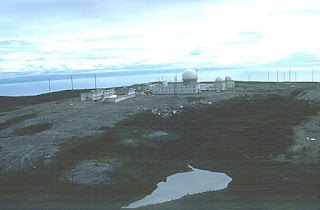 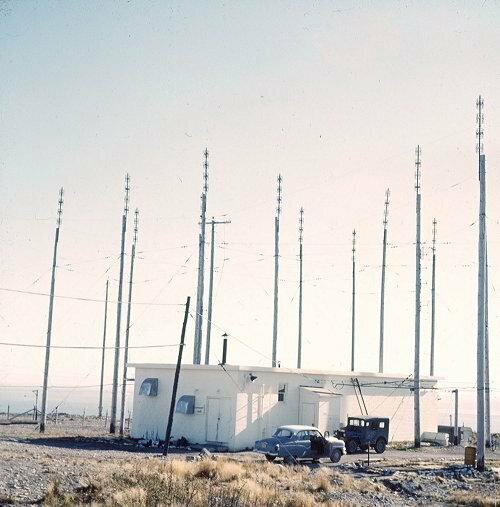 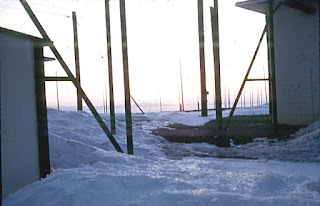 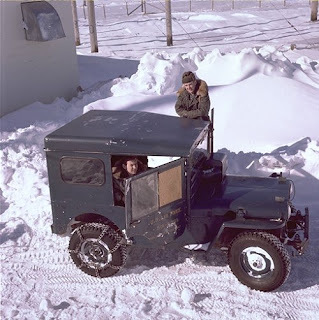 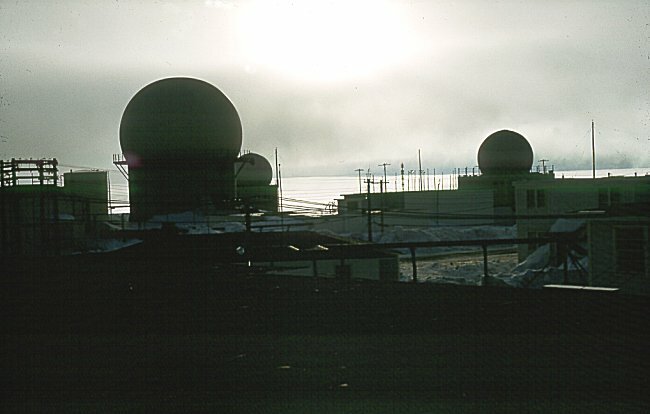 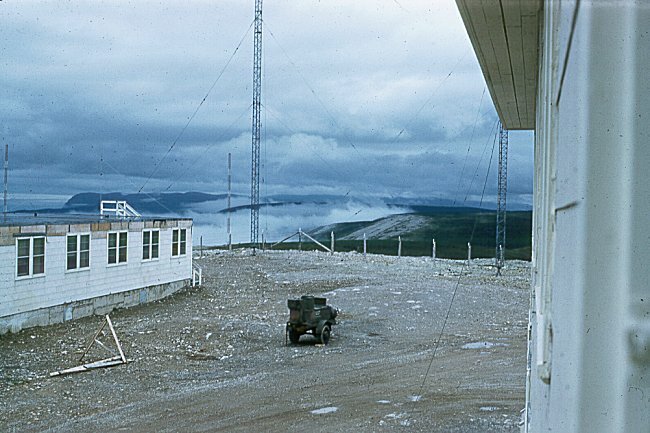 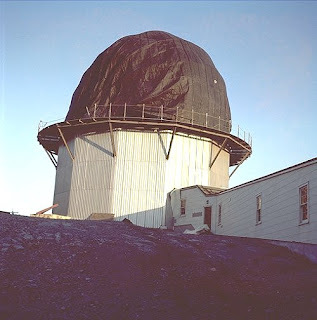 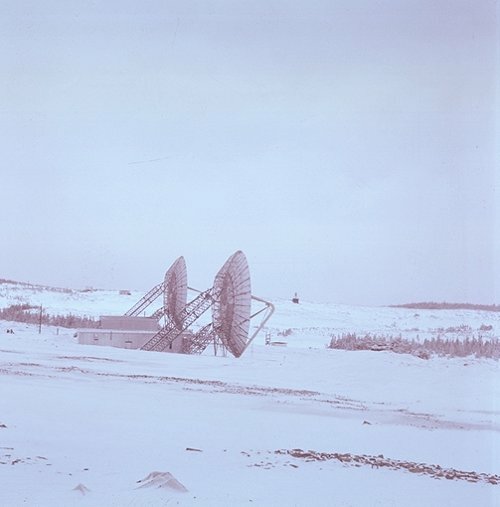 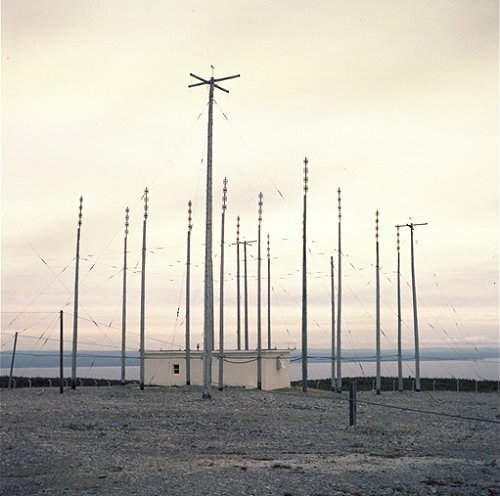 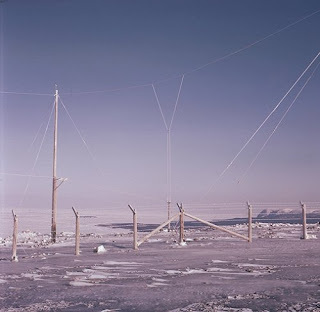 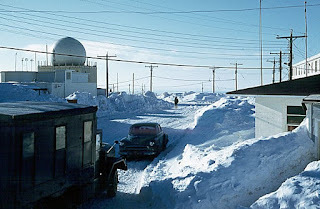 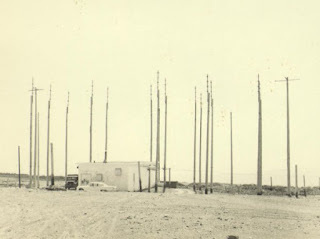 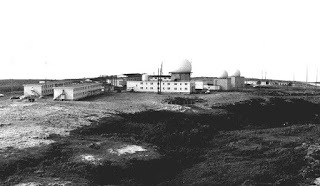 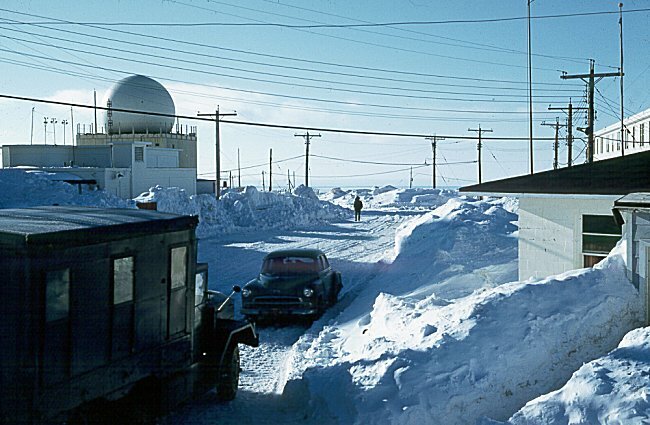 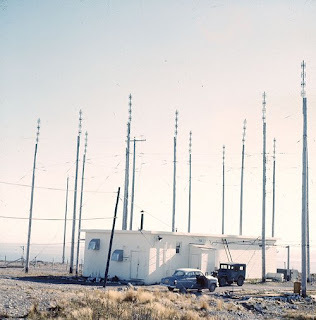 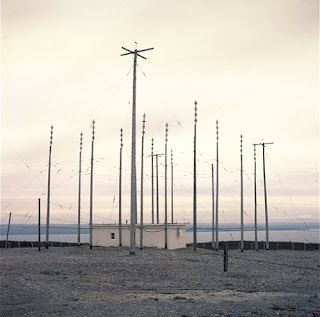 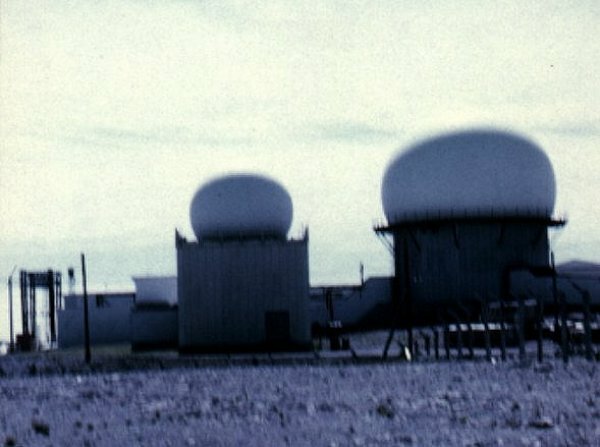 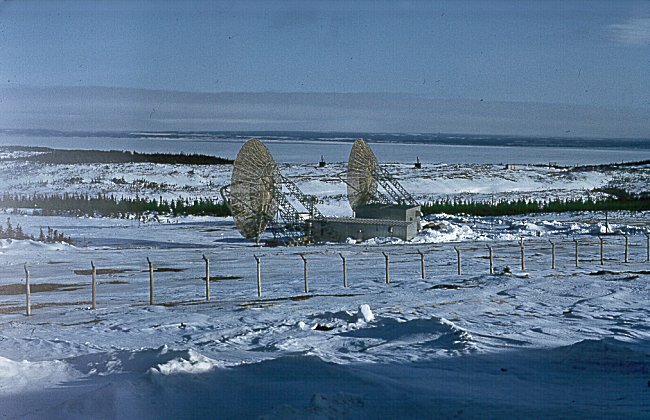 There were many PinetreeLine sites with big dish antennas for communications and RADAR. 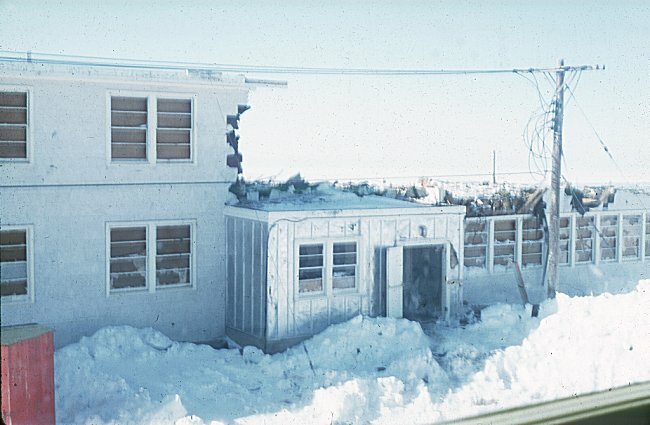 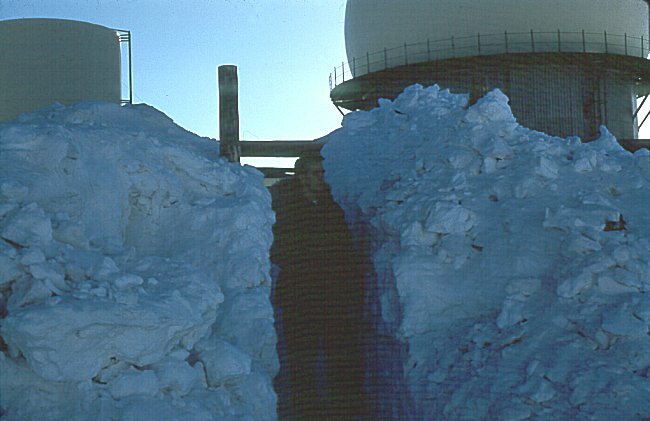 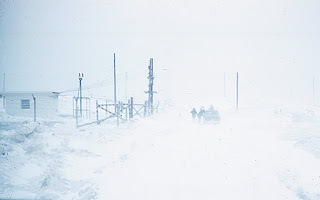 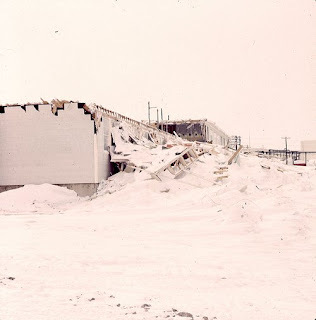 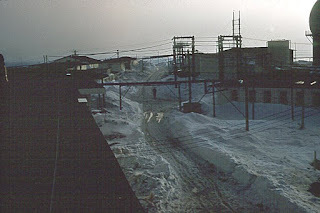 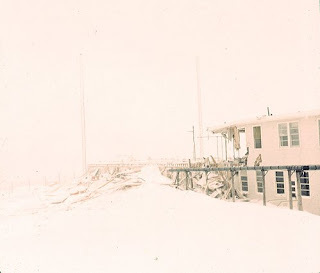 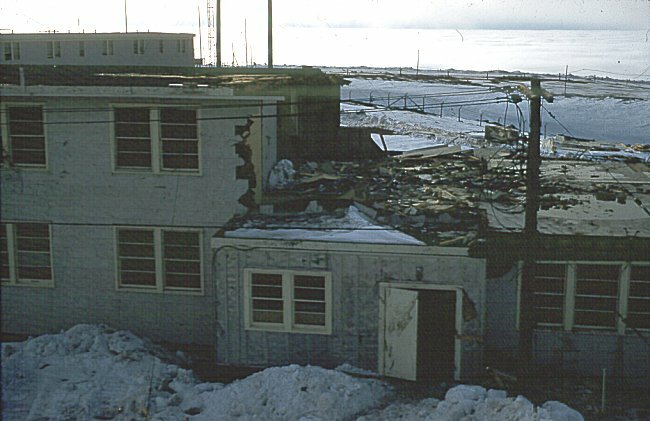 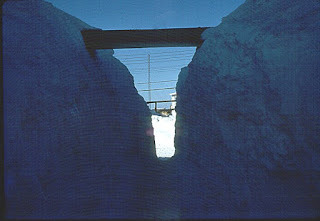 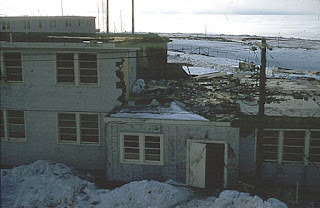 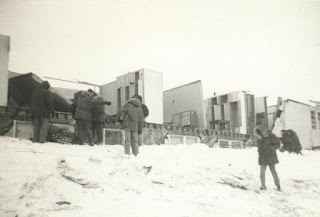 Powerful snowstorms sometimes ripped the roofs off buildings since there was nothing to break the wind on the mountaintop. 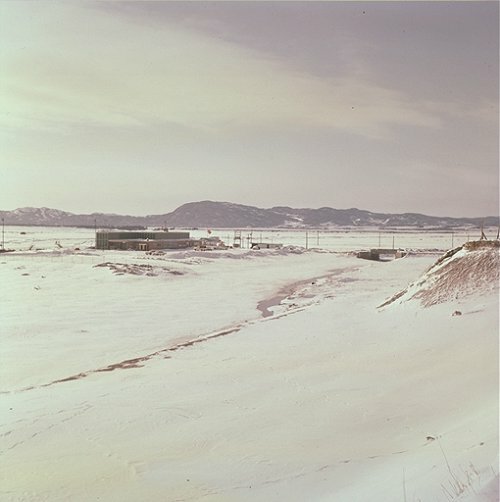 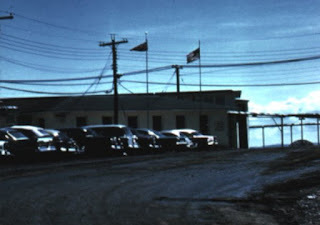 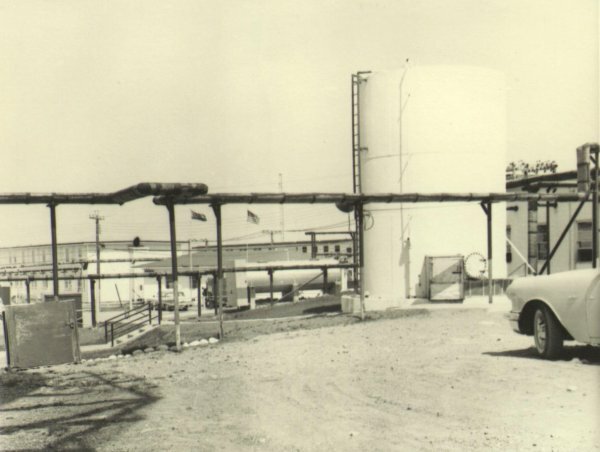 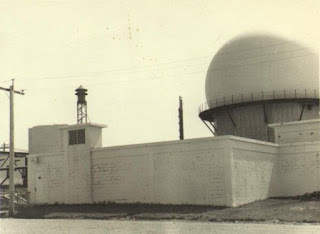 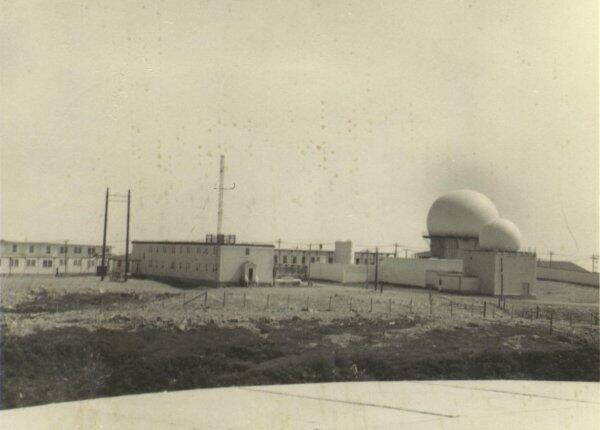 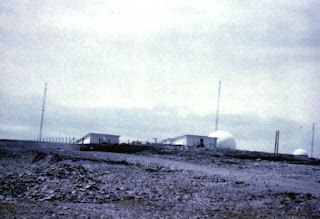 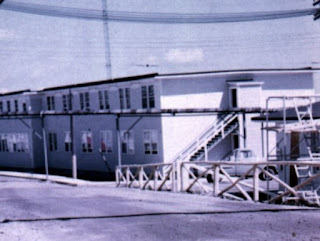 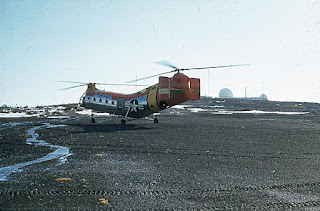 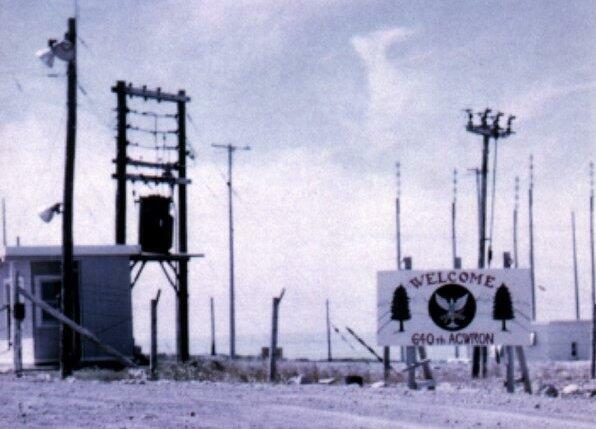 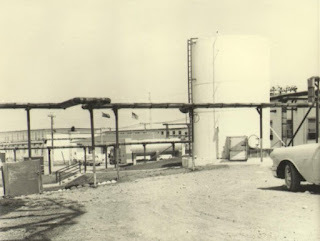 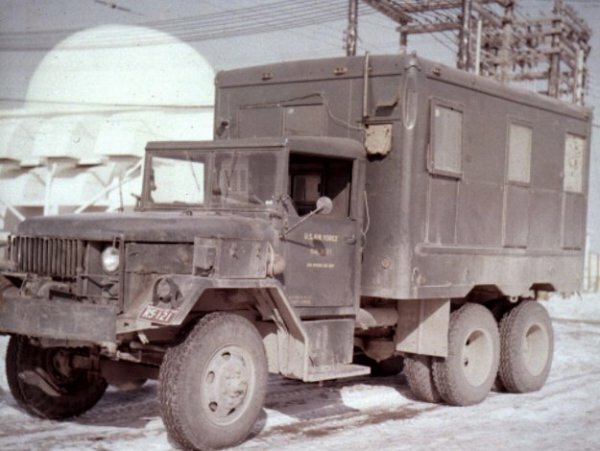 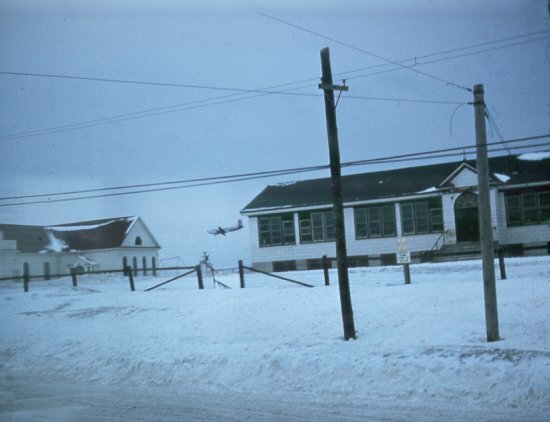 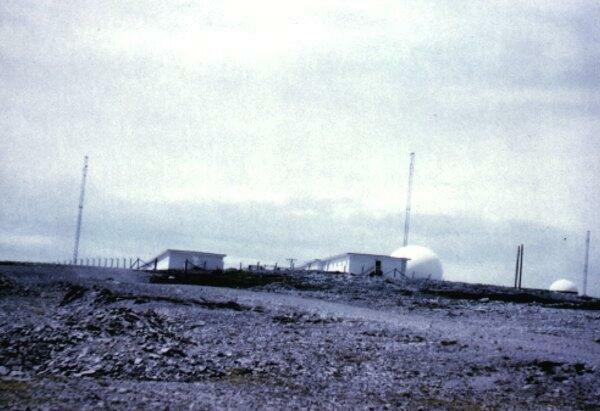 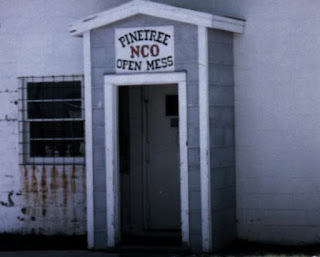 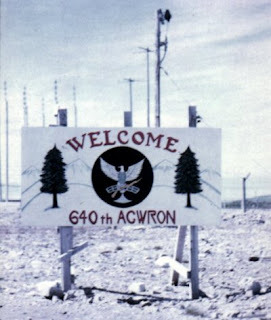 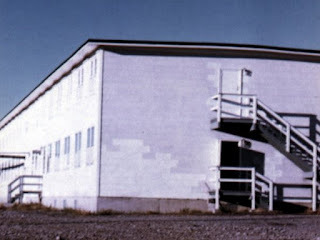 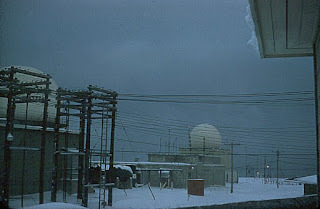 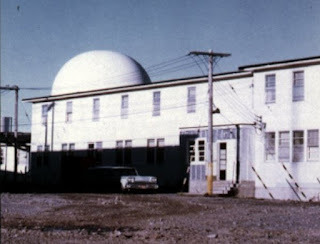 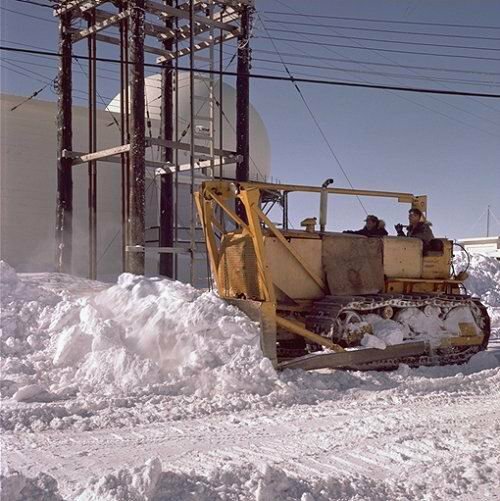 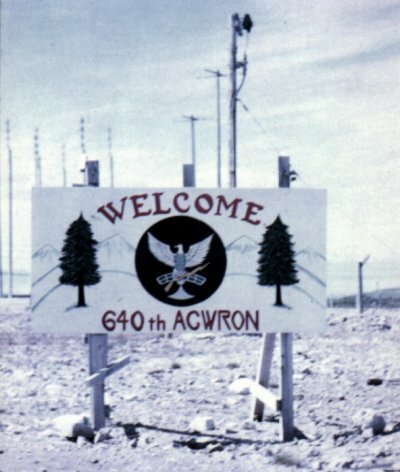 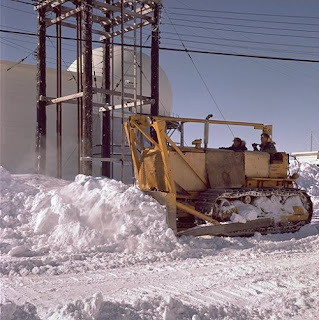 The Pinetree site was operated by 640 AC&W Squadron which was associated with Harmon Air Force Base. 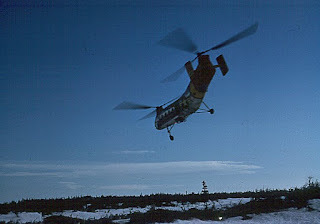 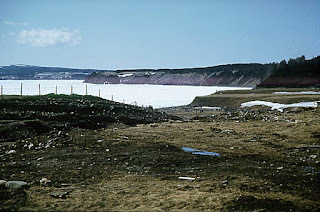 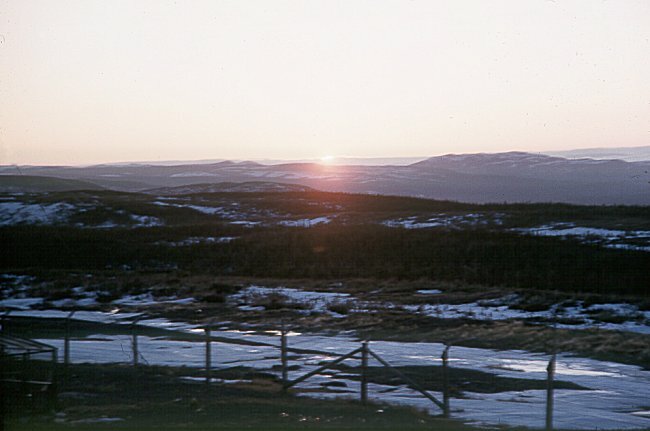 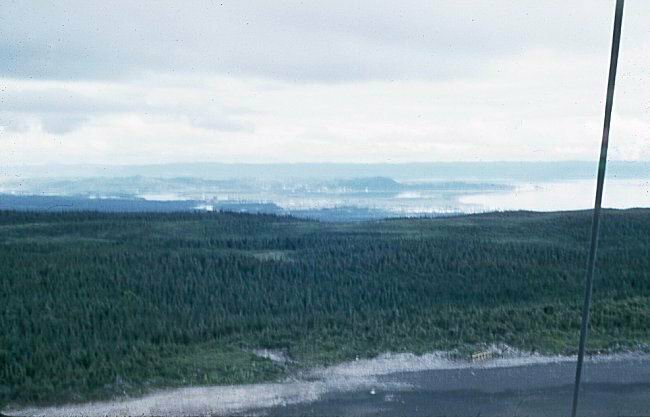 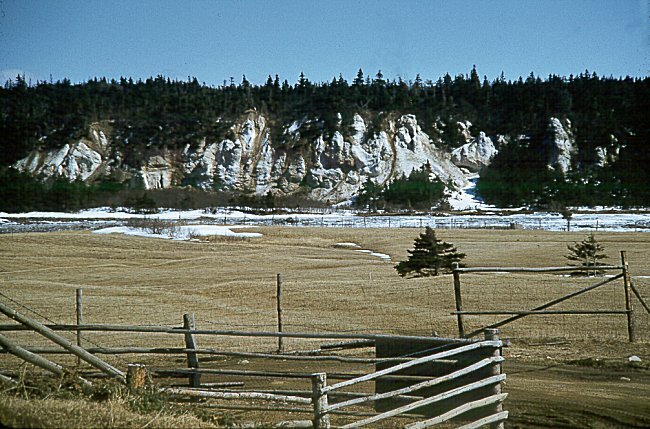 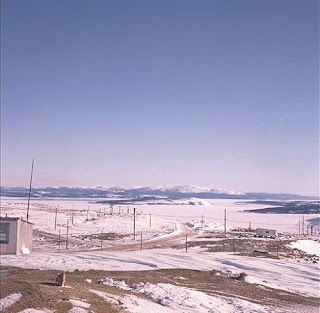 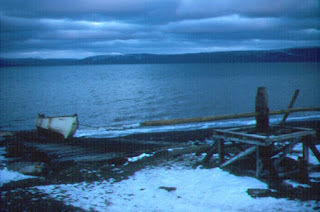 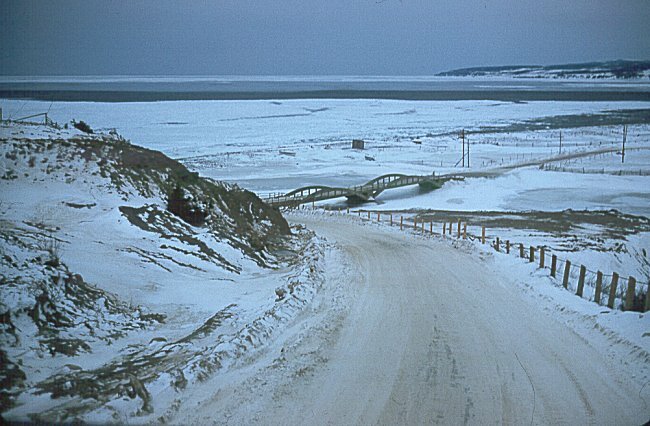 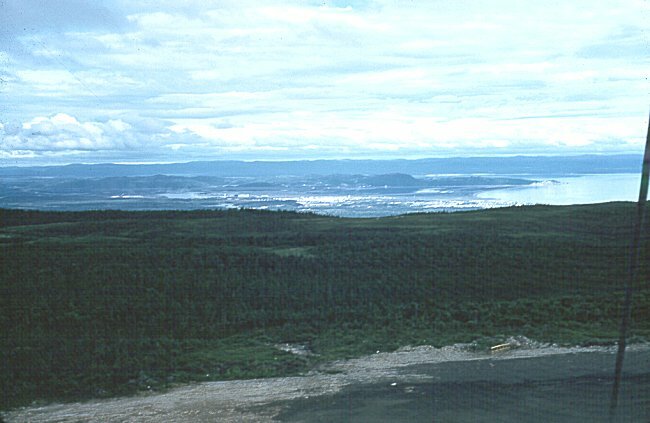 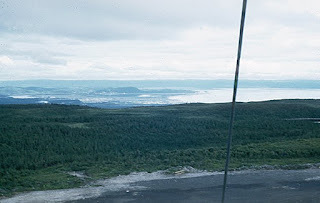 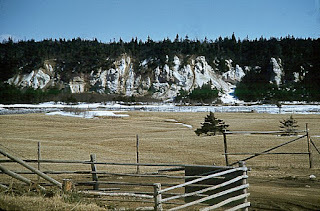 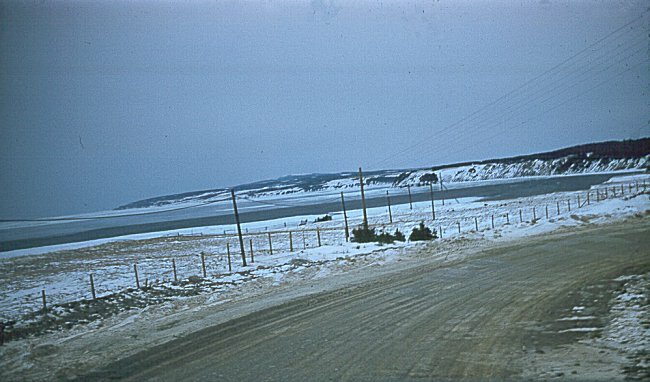 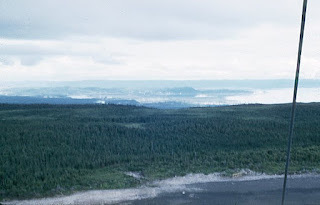 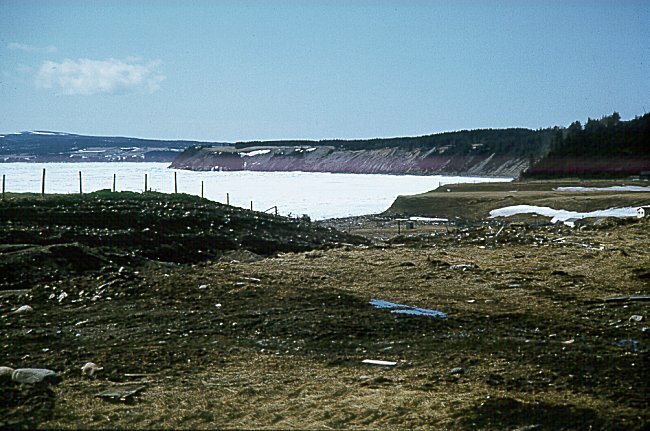 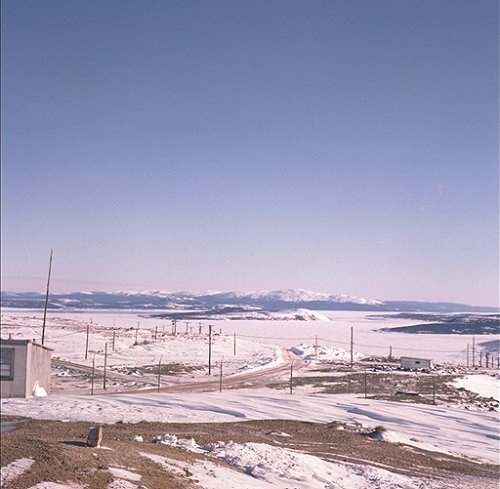 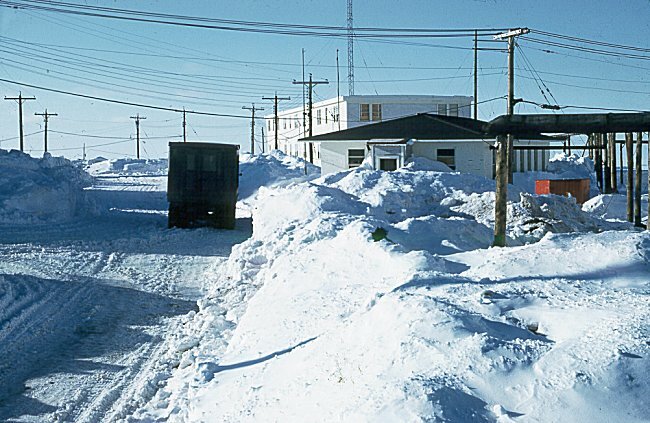 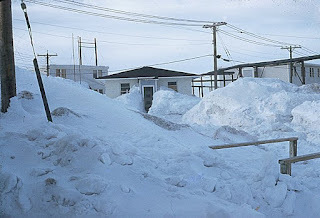 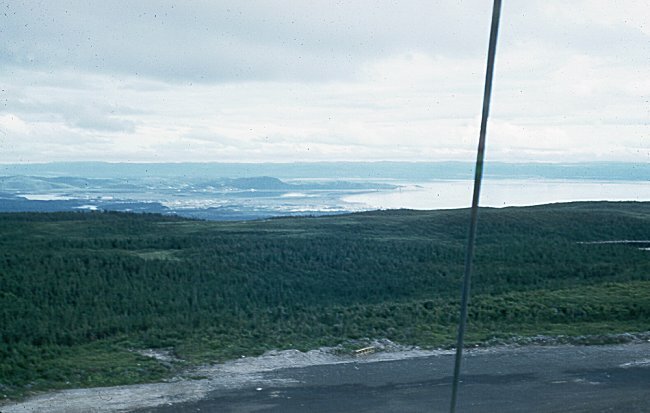 A drive to the mountain from Harmon passed through Stephenville, Kippens, and Port-au-Port so pictures of the route are included. 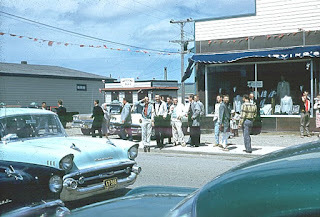 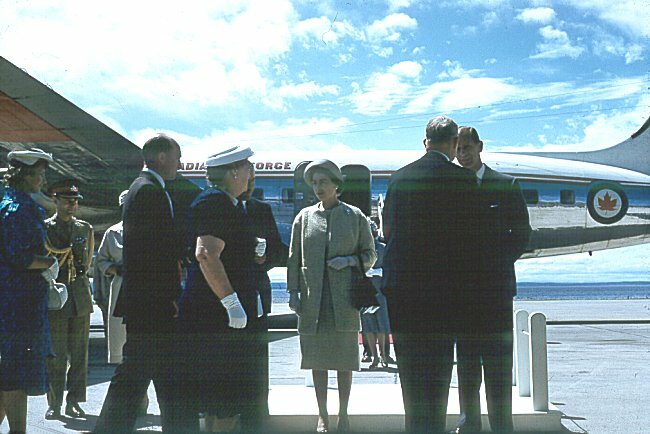 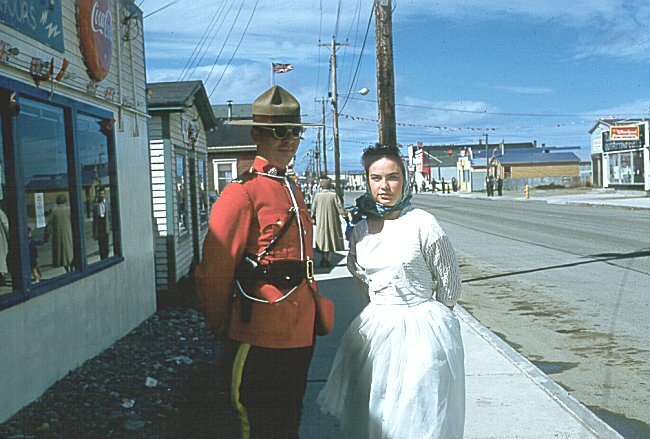 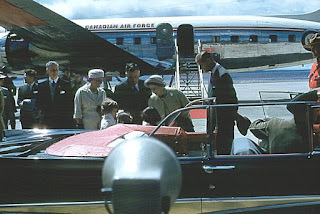 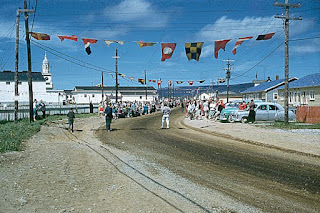 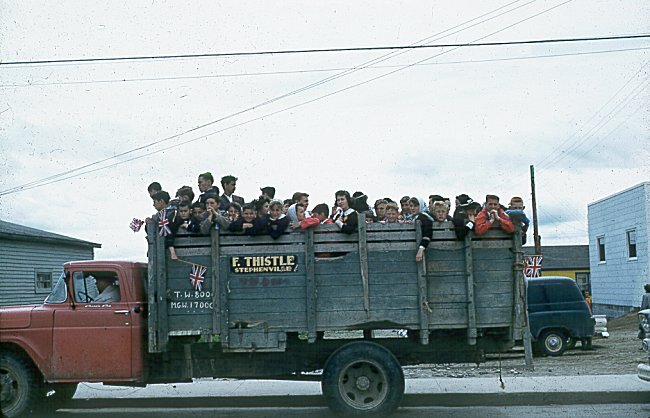 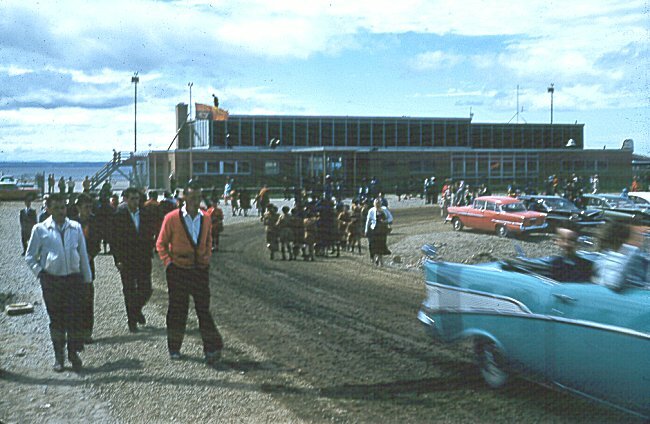 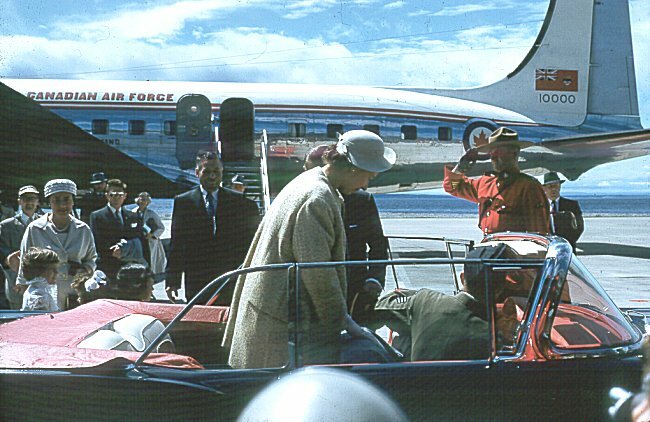 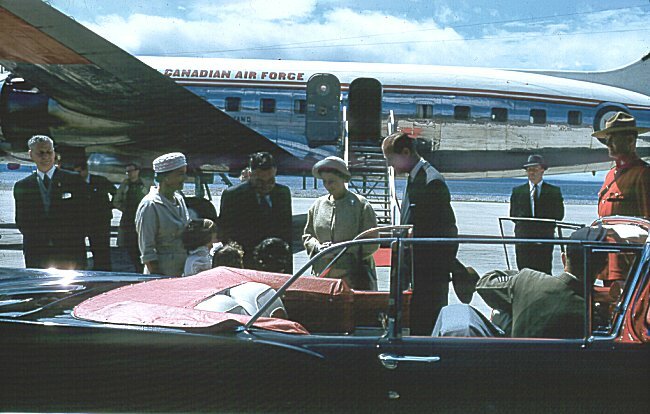 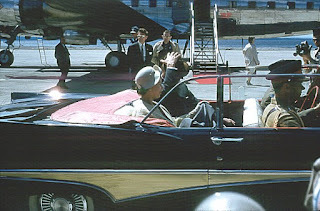 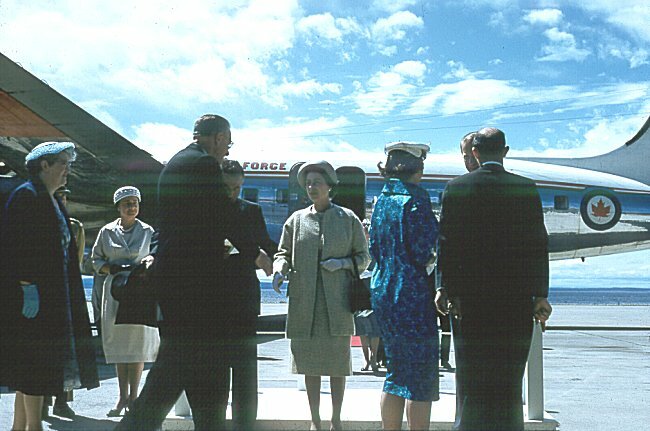 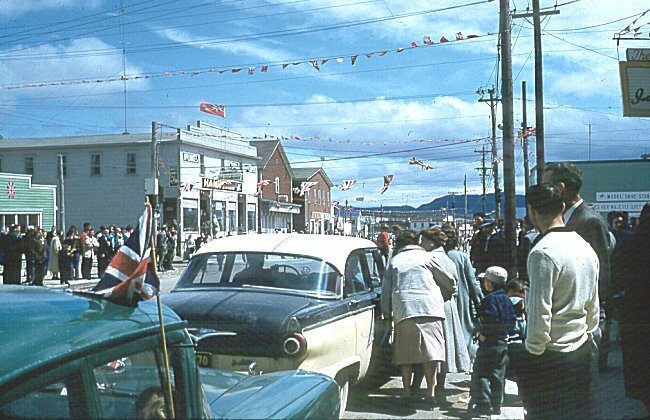 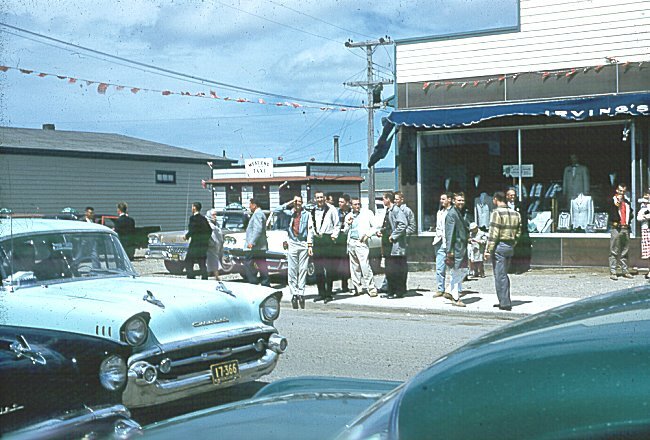 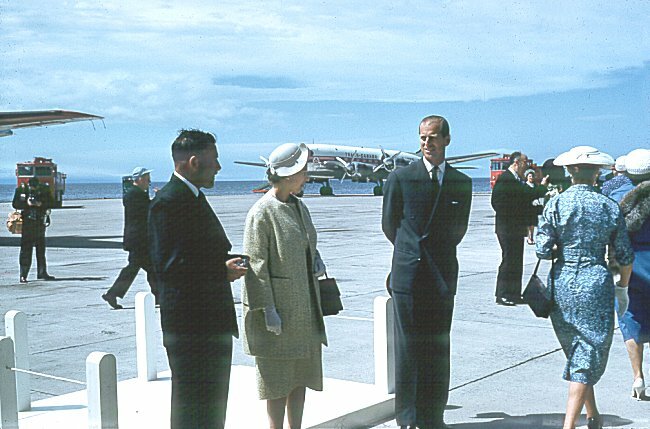 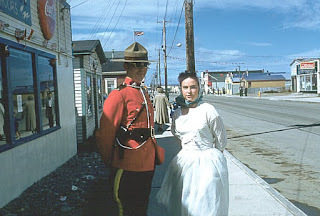 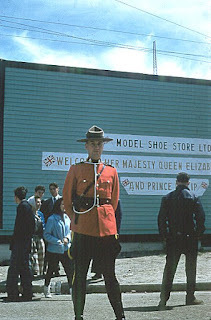 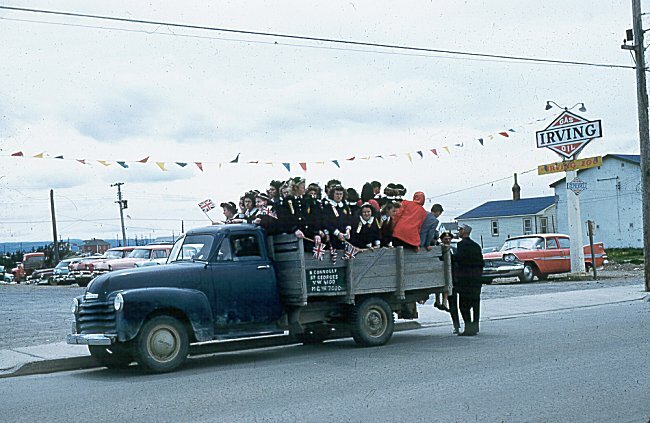 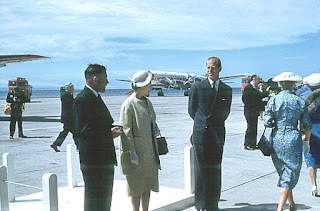 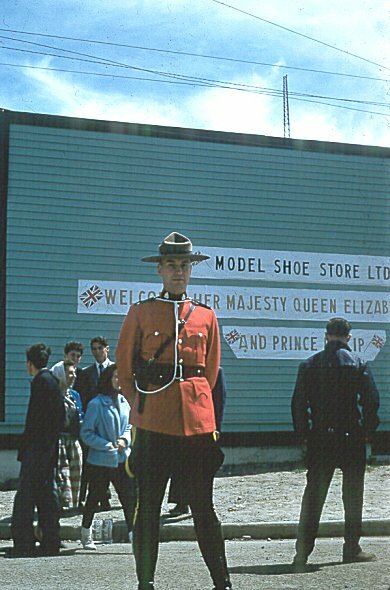 There are photos of the British Queen Elizabeth visiting Stephenville, NL in 1959. 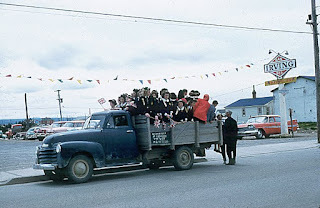 I vaguely remember that event since I was just a kid and it was idle curiosity for me. 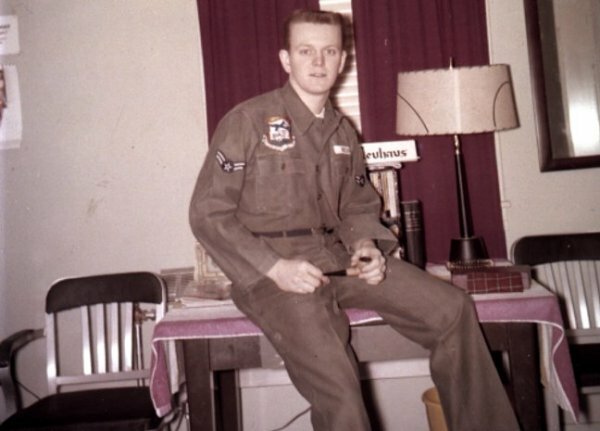 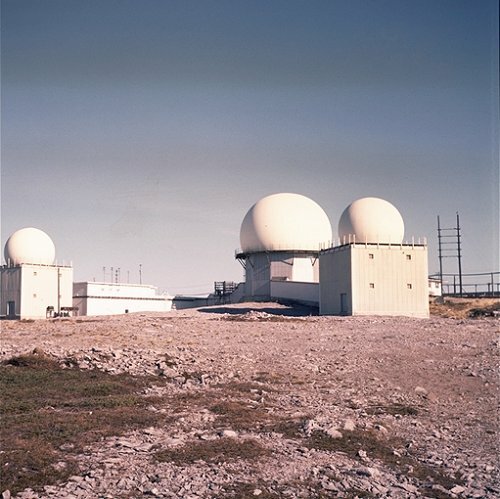 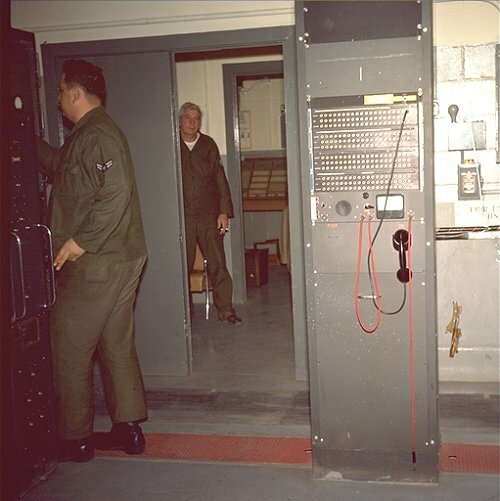 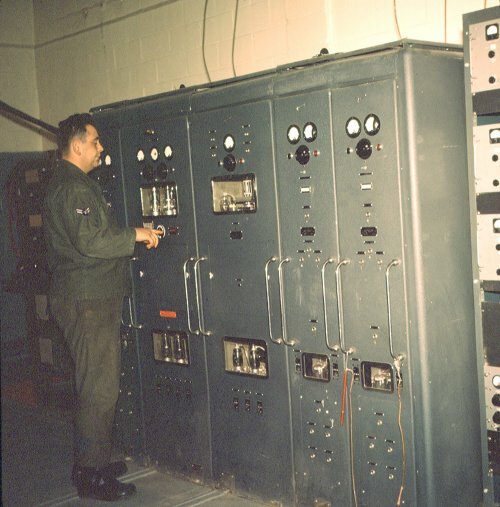 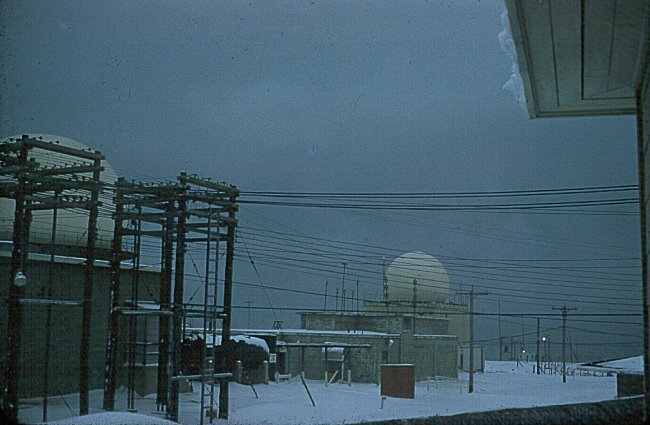 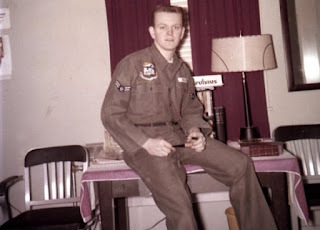 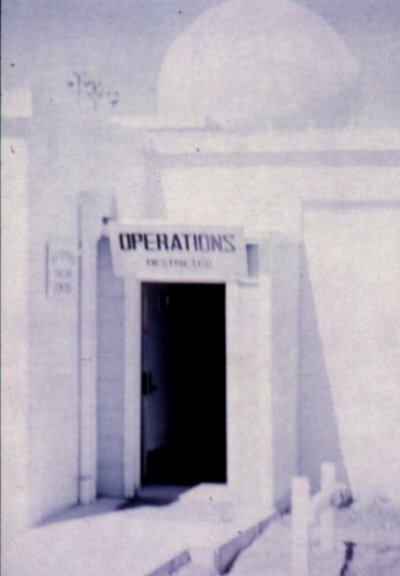 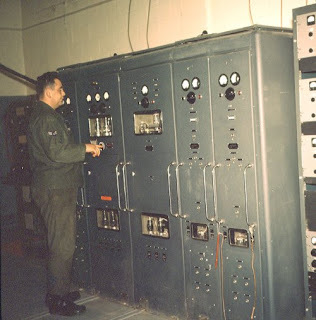 I was there to install computerized operator displays for the Joint Surveillance System (JSS). 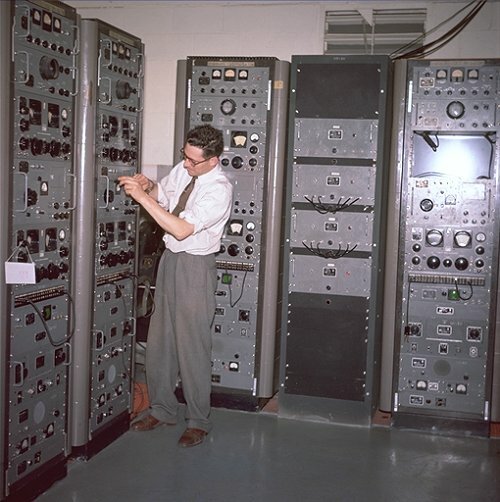 The displays were made in Canada, the computers were made in California. 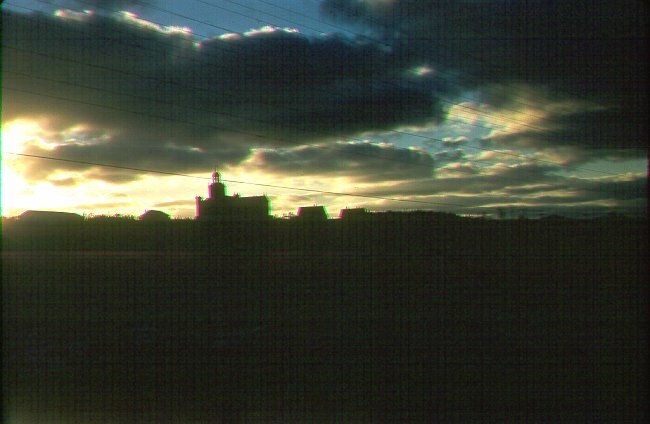 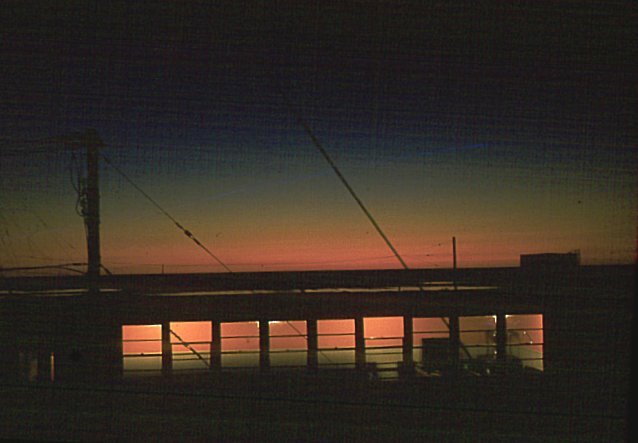 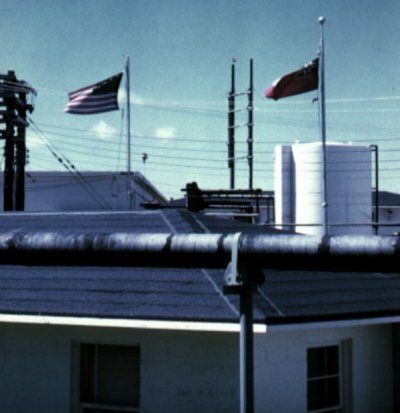 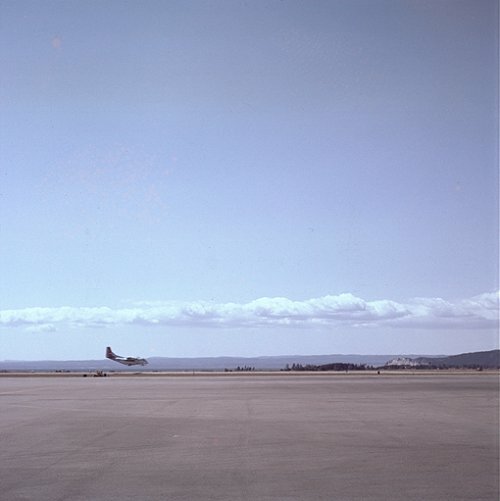 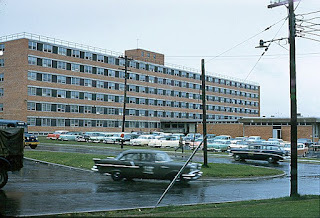 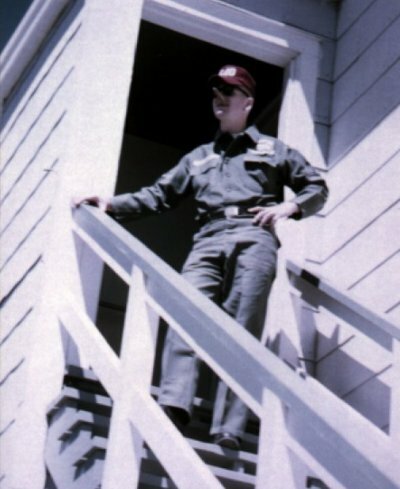 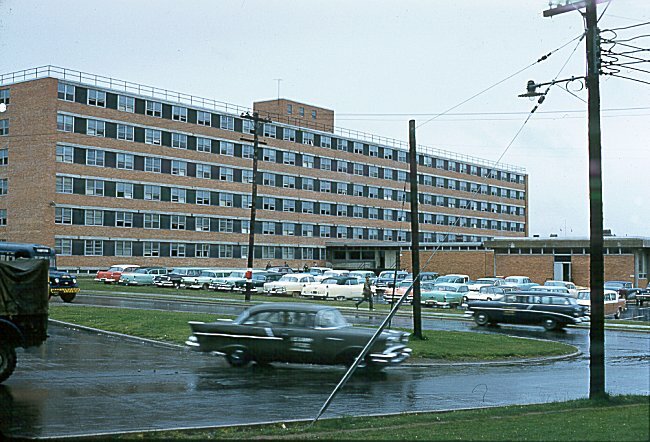 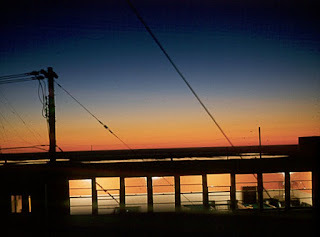 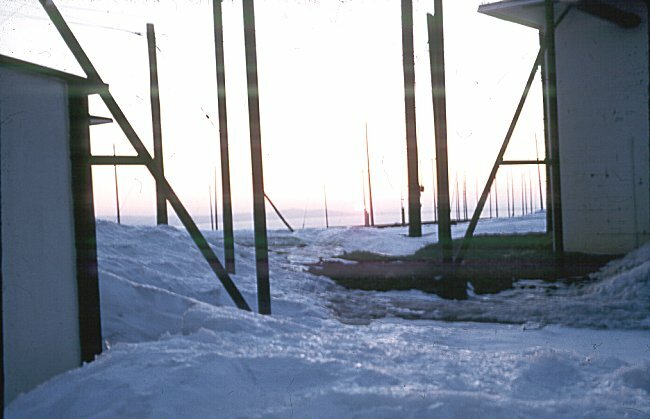 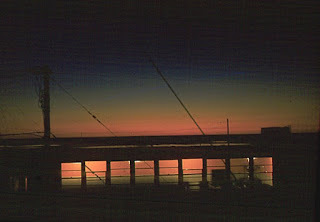 eventually become known as the "Harmon Hilton"
Sunset taken from "B" barracks looking over "A"
"A" barracks - May 1959. 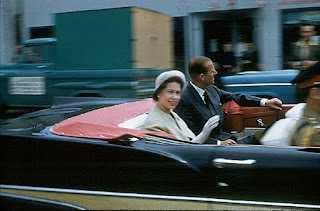 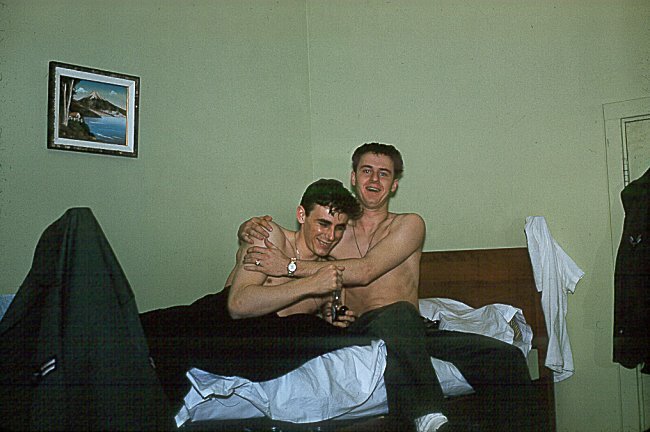 - Friday 13th March 1959. - Friday the 13th March 1959. The "Run" and the road off "The Hill"
Church on left and school on right. 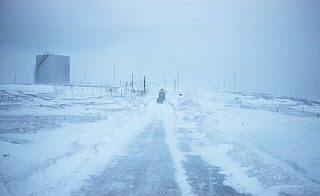 Road to the main gate at Harmon AFB.